288 участников успешно повторили данное руководство. Question - my MBP currently has 4GB RAM. Is there a 2nd RAM slot that will allow me to increase my RAM by adding 4GB or 8GB. Or do I need to replace the current 4GB with a new 8GB module? Your MBP will have two chip slots that are stacked on top of each other. When you remove the top chip, you'll see the second chip sitting below it. It is best practice to replace both chips with the same amount of memory. So your current computer should have 2 - 2gb chips, so if you want 8gb total, you would install 2 - 4gb chips. Or for 16gb total, 2 - 8 gb chips. I want to upgrade the RAM in my MBP. It now has 4GB. Are there 2 RAM slots that will allow me to add a 2nd 4GB RAM module - or - do I need to replace the 4GB with a 8GB? I have a late-2011 MBP. It now has 4GB RAM. Is there a 2nd slot for me to add RAM - or - do I need to replace the current 4GB with a 8GB module? I followed instructions & pushed power button. My screen is dark & computer is beeping at me. Suggestions on what I did wrong? if its a black screen and 3 beeps it sounds like your RAM did not get seated all the way. I would take them out and reinstall them. Can i installed 1600mhz Ram in my macbook pro 13’ early 2011 model. Can u suggest any specific model in Amazon so that i can order the same. 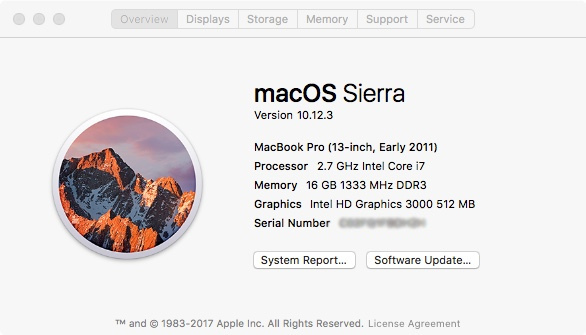 Do you know if you can you upgrade a mid-2010 17" MacBook Pro (2.53 GHz Intel Core i5) from 8 GB of RAM to 16 GB? Para sacar el segundo modulo de memoria es necesario sacar toda la board.